After spending time and money choosing an efficient and cost-effective boiler or central heating system, you want to make sure those savings are reflected in your monthly bills. 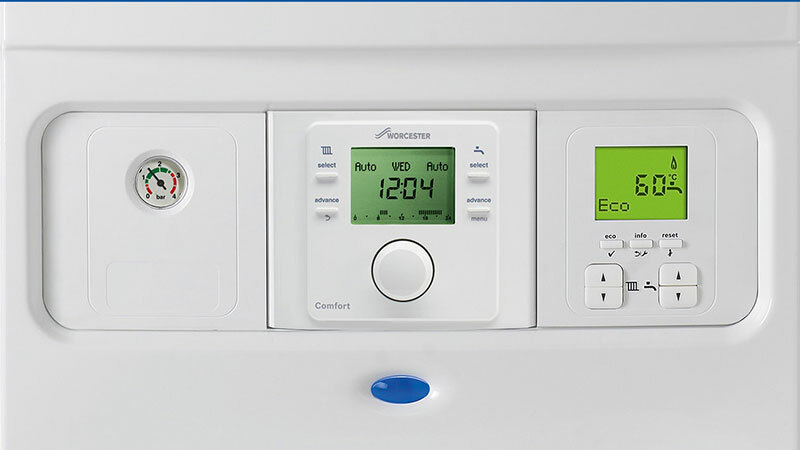 One of the best ways to do this is via boiler and heating controls which helps you to ensure you are only using your system when you actually need it. Put simply a timer allows you to set times for your central heating system. With a timer, your central heating and hot water will always be on at the same time. On the other hand, a programmer gives you the ability to set different times for heating and hot water. This means that you can have one without the other which can help to reduce household bills significantly depending on your usage. With a programmable room thermostat, you will be able to set different temperatures in each room at any time throughout the day. Controls such as these maintain a temperature throughout the house, allowing the system to simply ‘top up’ the heat rather than having to heat the entire house in one go. Fitted with most radiators, TRV’s allow you to have control of each individual rooms temperature. This allows families to consider the heating required for the most commonly and less commonly used rooms, helping you to save money on your heating bills. All new or replacement boilers now have to include some kind of heating controls installed with them. Your first option is to have a timer or a programmer, with a room thermostat and TRV’s. On the other hand, if you go for a programmable room thermostat you can simply combine that with TRV’s. If you want to discuss which controls would be best for your home or system, simply get in touch and discuss your options with our team. ARE YOU HAVING PROBLEMS WITH YOUR RADIATORS/CENTRAL HEATING SYSTEM?